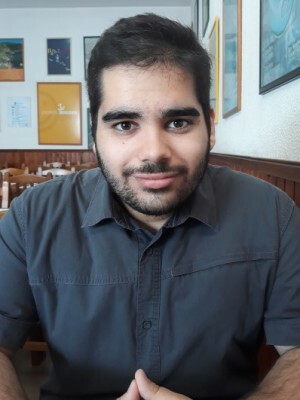 Dinis Abranches was born in 1997, in Aveiro, and is currently a Chemical Engineering student at the University of Aveiro and a researcher at CICECO – Aveiro Institute of Materials. Since very young has been interested in science and started an adventure in amateur chemistry at the age of 13 that lasts until the present day. In 2015 was admitted to the Integrated Master in Chemical Engineering at the University of Aveiro and won the award for being the best student enrolled to that course. There, he also won two prizes for outstanding academic achievement. In 2018 finished the BSc part of the Integrated Master in Chemical Engineering with a final grade of 19/20 (A). He has extensive experience on the usage of both the thermodynamics model COSMO-RS, along with its implementation software COSMOtherm, and the quantum mechanics-based model TURBOMOLE, along with its implementation software TmoleX. Besides, possesses an advanced skill set on the MATLAB programming language.